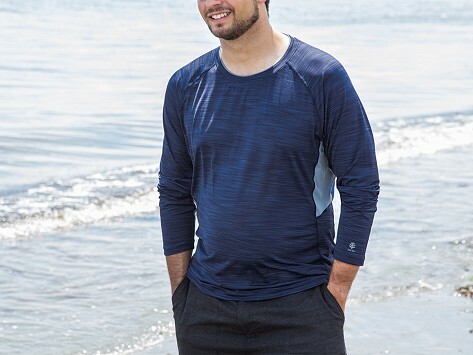 Pull on this UPF long sleeve tee to shield your skin from harmful UV rays. The long sleeved rash guard gives you total protection in the waves or on the shore. Stretchy, breathable SUNTECT fabric is rated UPF 50+ to block the sun all day long—and never wear out. It is also chlorine- and salt-resistant as well as quick drying—making it the perfect beach or pool day piece.